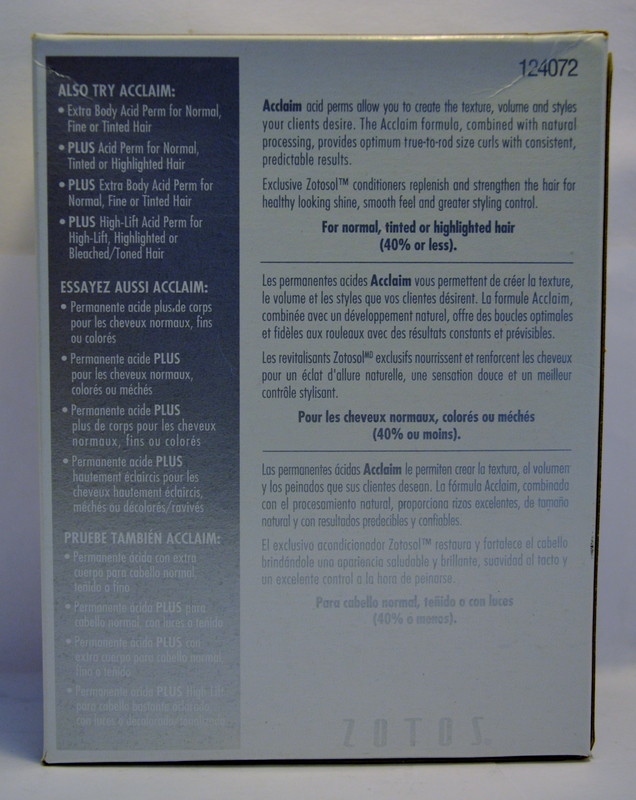 Acclaim is an acid perm that provides well-defined workable curls with maximum versatility potential. Acclaim allows you to create the texture, volume and styles clients desire. The Acclaim formula, combined with natural processing, provides optimum true-to-rod size curls with consistent, predictable results. It contains exclusive Zotosol conditioners that replenish and strengthen the hair for healthy looking shine, smooth feel and greater styling control.